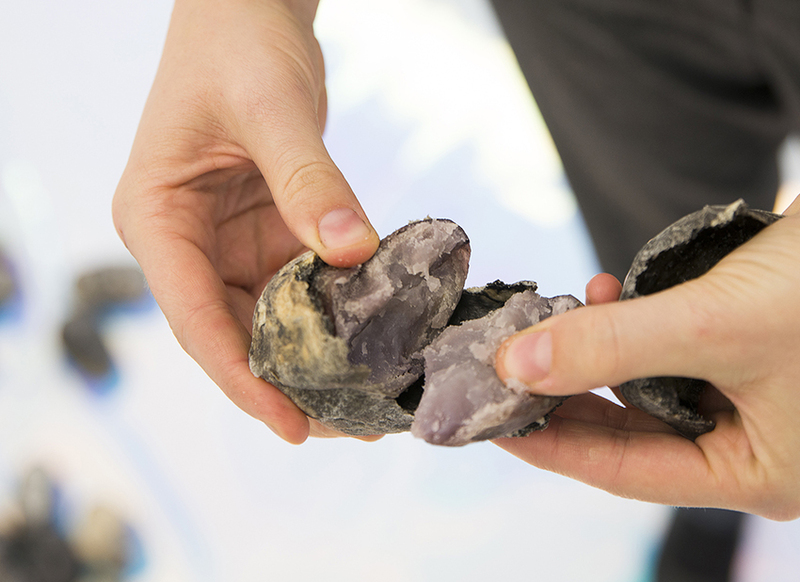 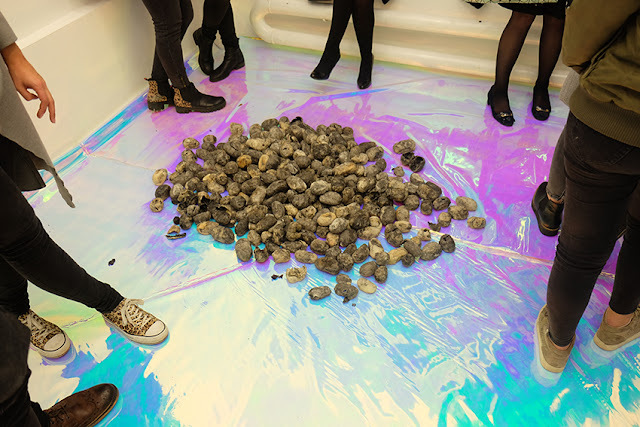 Part of the exhibition were purple potatoes that were baked in salt dough and could be eaten by the visitors. 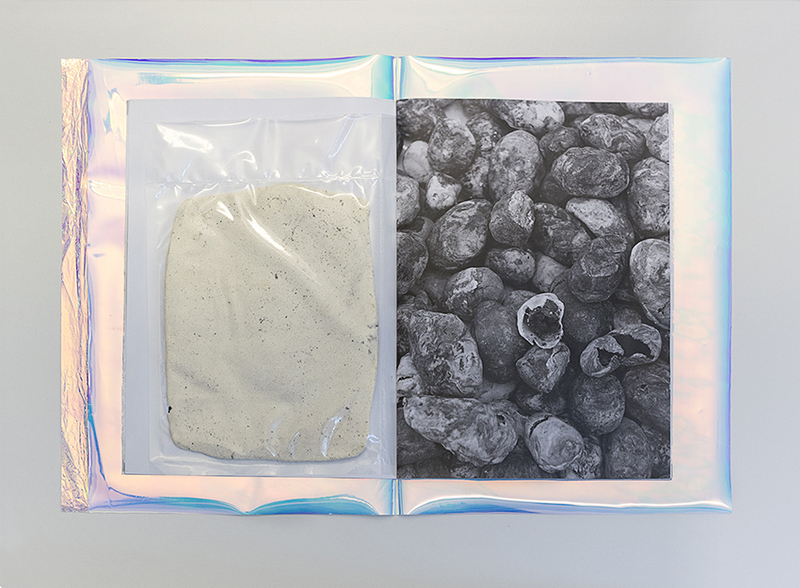 The materials of the former exhibition ACIDATE:::::(take that):::::saucy were transformed into an artist book. 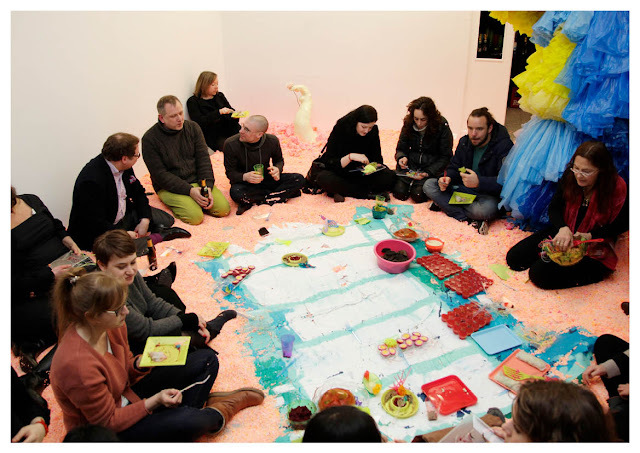 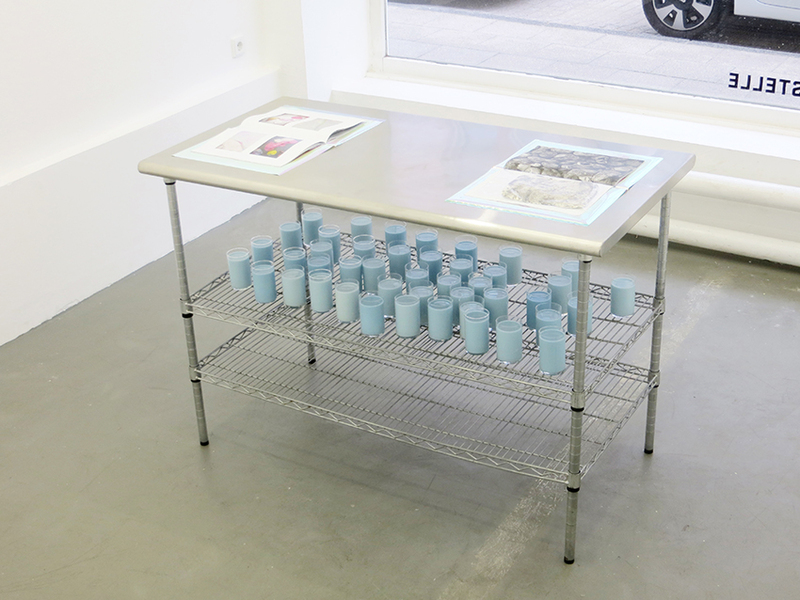 Next to reading the book the visitors could drink sweet rose milk, that was colored with blue edible flowers. 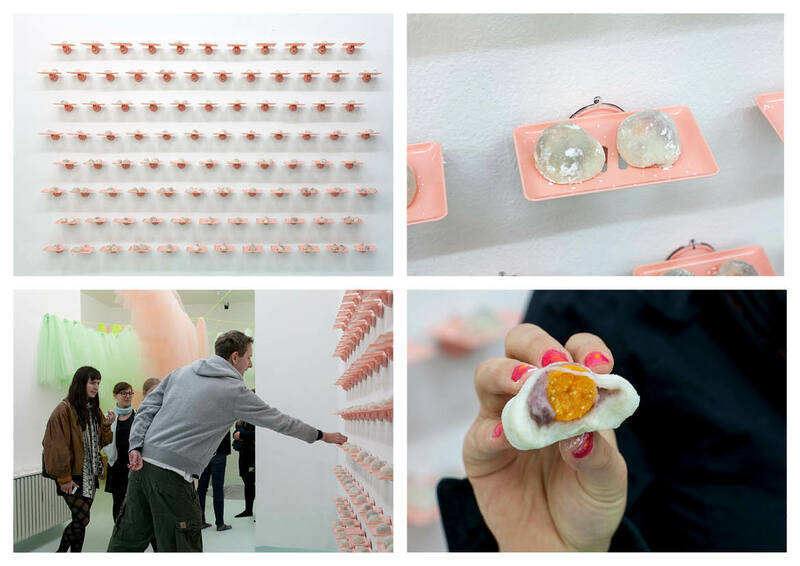 Part of the exhibition were japanese Mochis, the visitors could eat.